Your 2012 Chicago Cubs, under the ownership of the Ricketts family, and now under the supervision of the Theo Epstein & Jed Hoyer regime leave us with more questions than answers. One thing is sure, there's a new sheriff in town and we are definitely not in Kansas anymore. So buckle in and stay tuned as this site chronicles that journey. Go Cubs! Check out the Plan Your Game section of CubHub.net. This has plenty of juicy info on how to get the best tickets, see photos taken from every section of Wrigley so you can actually see the view of the field from a given section! 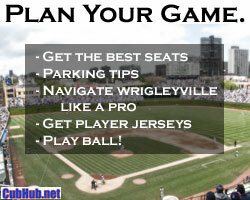 Plus parking tips, navigating Wrigleyville like a pro, travel info to Chicago and more - check out Plan Your Game! 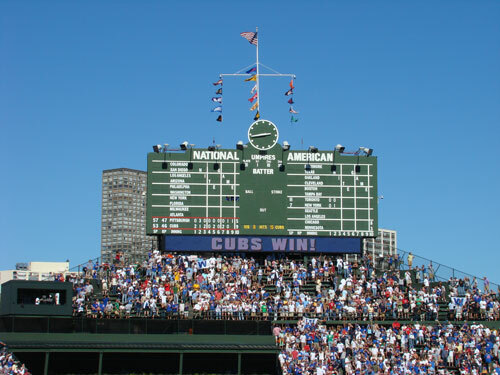 Your visit to the Friendly Confines of Wrigley Field should be an experience to remember. Plan ahead to make the most of it! Go Cubs go!! !